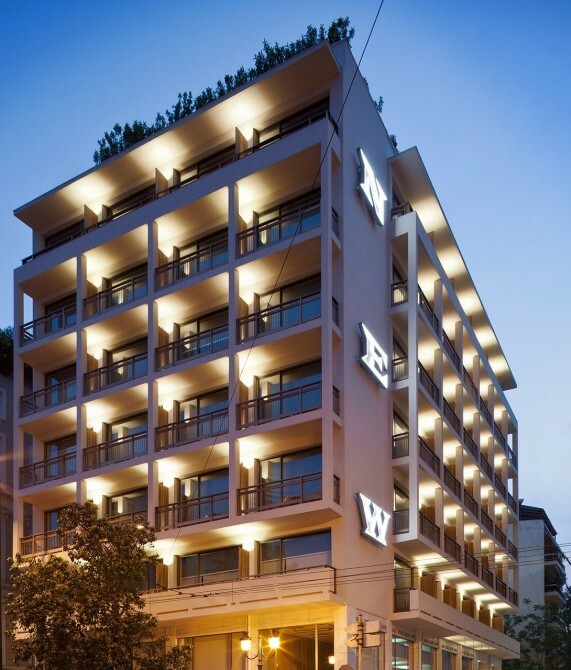 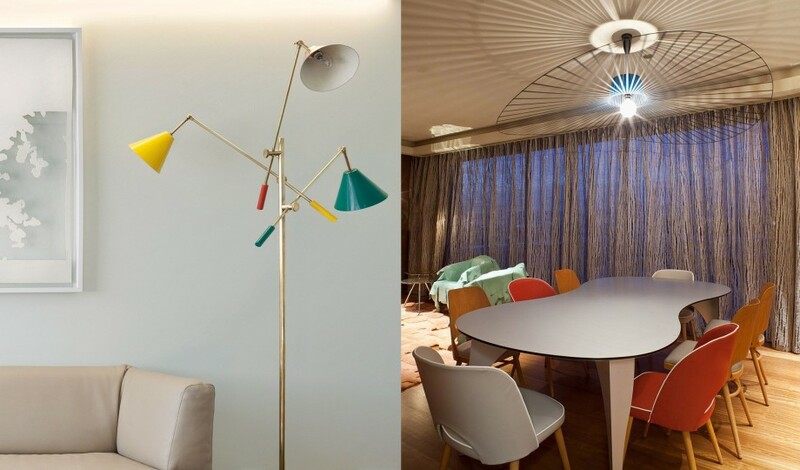 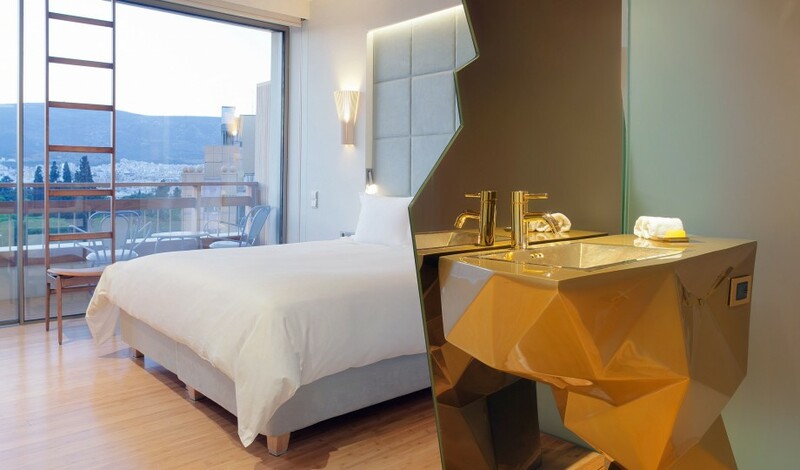 —New Hotel, in the heart of modern Athens, is a true Gesamtkunstwerk - uniting all the senses in an intensified visual, tactile, and somatic synergy. 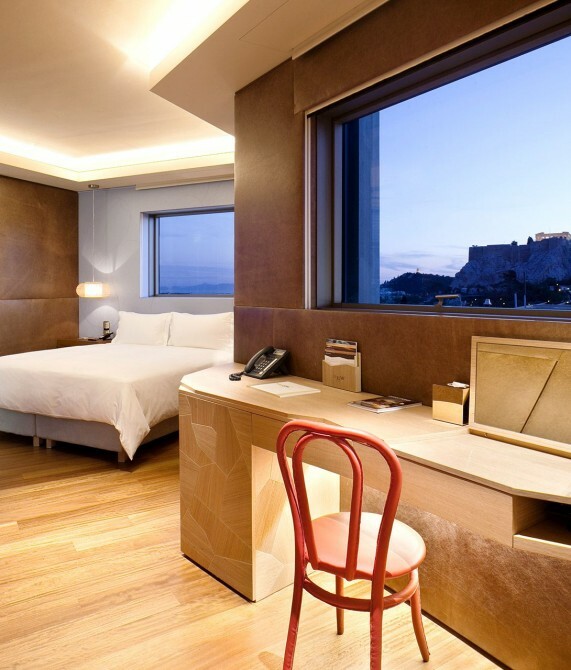 For Greek Cypriot art collector Dakis Joannou, restructuring the tired Olympic Palace into New Hotel has been a true labor of love. Throughout the chunky modernist building, chairs and doors salvaged from the old property reappear as artworks that awaken guests' senses. 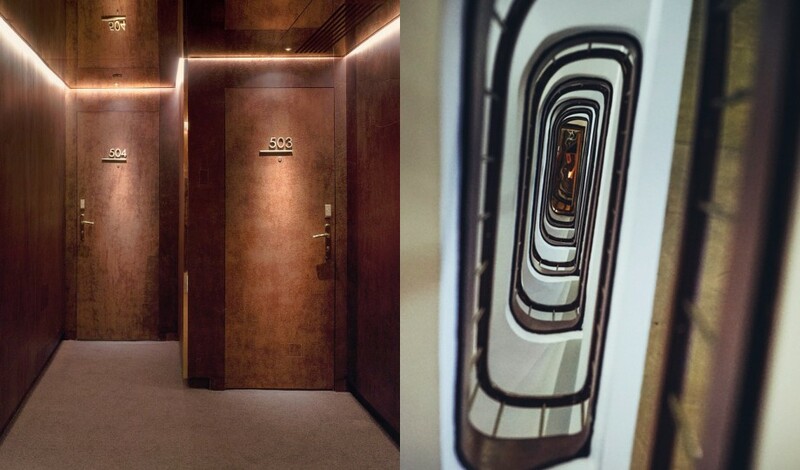 Thanks to interiors by Brazilian visionaries Humberto and Fernando Campana, who have earned a reputation for creating living art from castoffs, key elements of design and culture collide on every floor. From the spa and fitness area to the top-floor terrace, which affords one of the best views in Athens, the designs are consistently intense. Each of the hotel's 79 rooms and suites lets guests feel like they're a part of the vivid in-room installations. 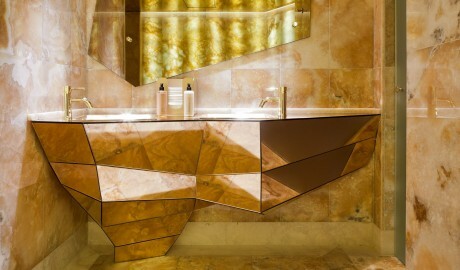 This theme even pervades the bathrooms, where blocky, sharp-edged washbasins based on the shape of diamonds reach into spaces normally left unused. 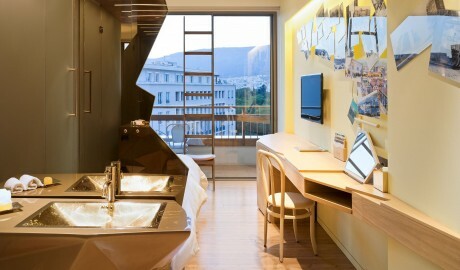 New Hotel’s 79 rooms and suites are styled according to three design concepts, each based on a different notion of Greek culture: postcards showcasing old Athens; evil eye amulets; and traditional “karagoiozis” shadow puppets kept behind acrylic glass plates that float just above the walls, making guests feel like they are linked intrinsically with the art, instead of being its passive observers. This intimate connection to creative forms even pervades the bathrooms, where blocky, sharp-edged washbasins based on the shape of diamonds reach into spaces normally left unused. 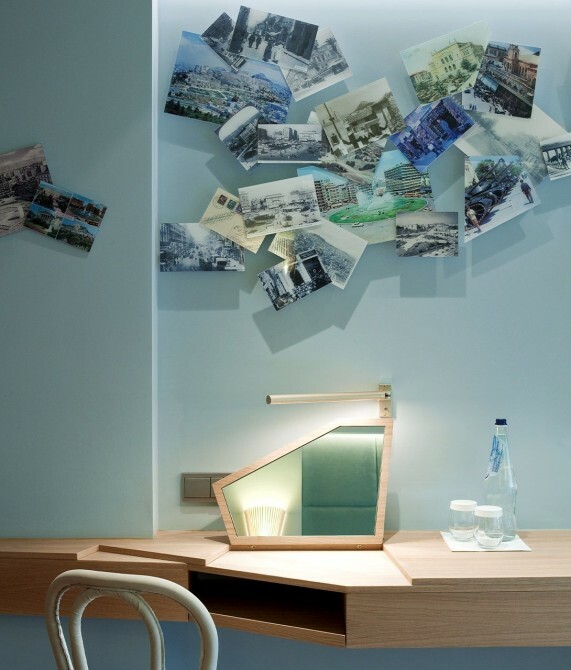 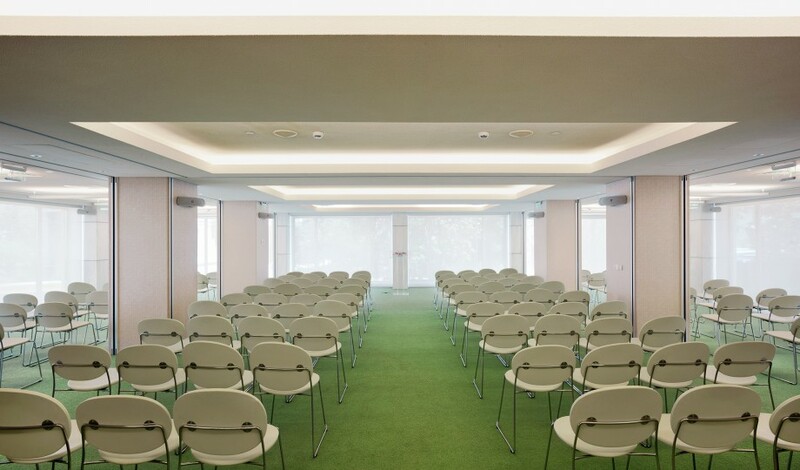 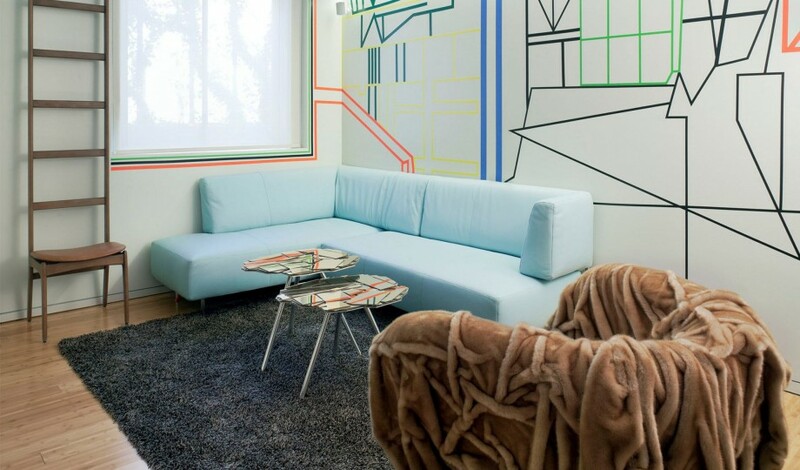 Re-edited Thonet chairs mix with handmade furniture made from the recycled materials from the original Olympic Palace Hotel built in 1958. 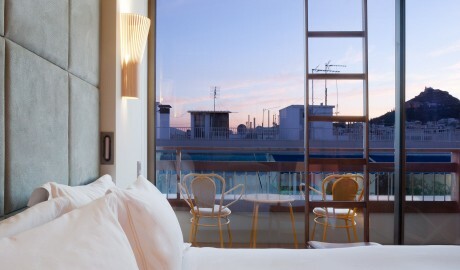 The spacious rooms offer views of a side street where guests can catch the vibe of this historic Athenian neighborhood. 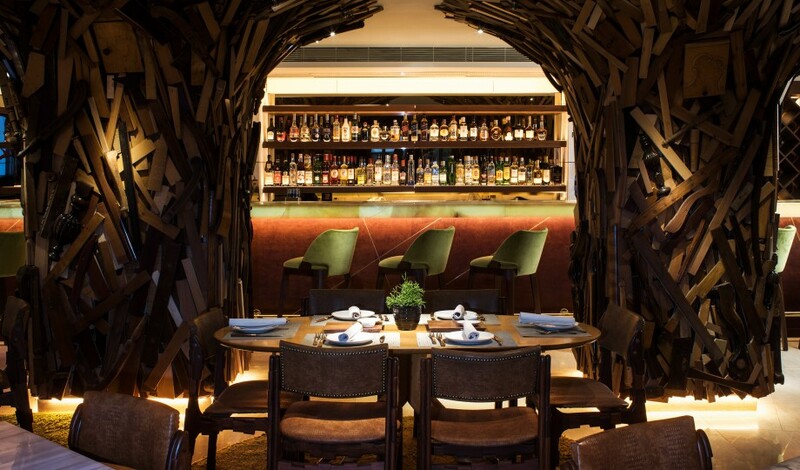 Following a theme of regeneration, the interior design features art crafted from reclaimed chairs and an abundance of irregular geometric shapes. 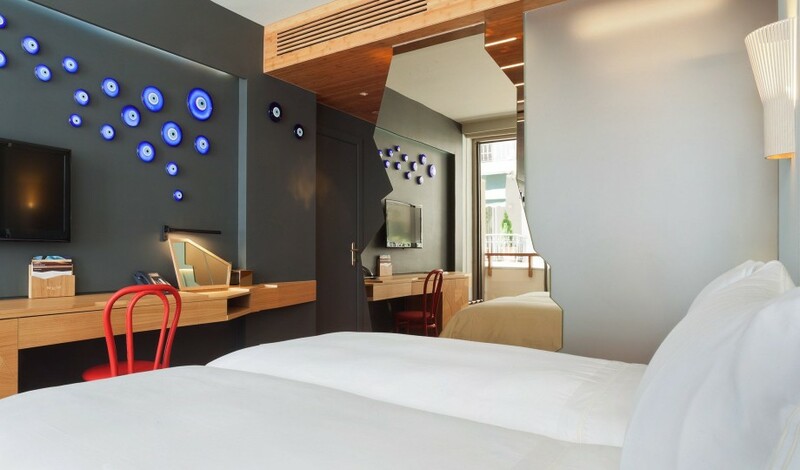 Much like the name suggests, New Hotel is housed in a reanimated modernist structure—a non-conformist in a city of classicism. 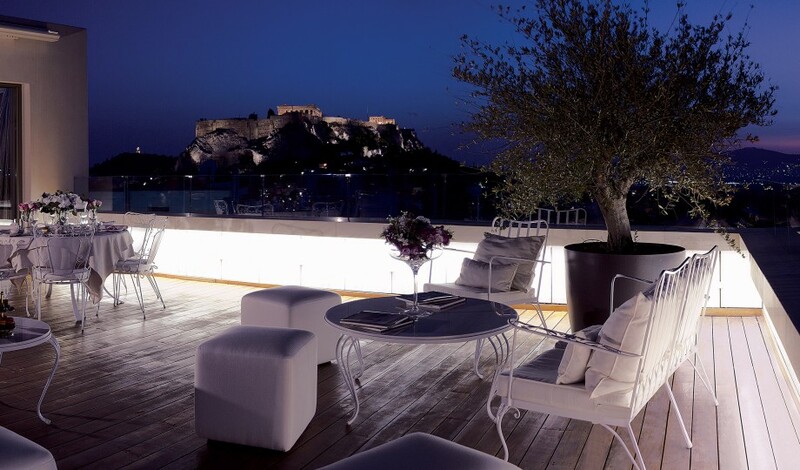 Dakis Joannou, the hardworking owner of Yes! 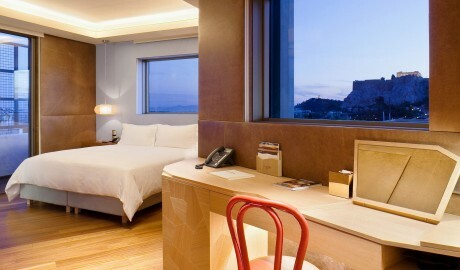 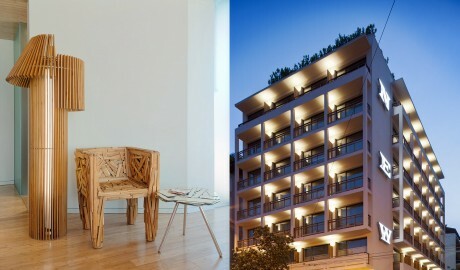 Hotels, is one of the foremost collectors of contemporary European art in Greece. 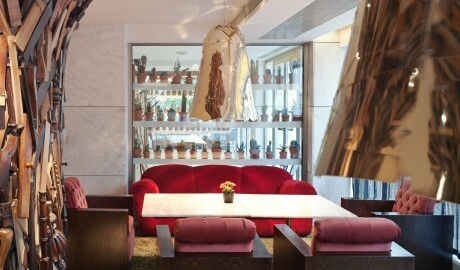 And when it comes to hospitality, he's just as dedicated to the cause. 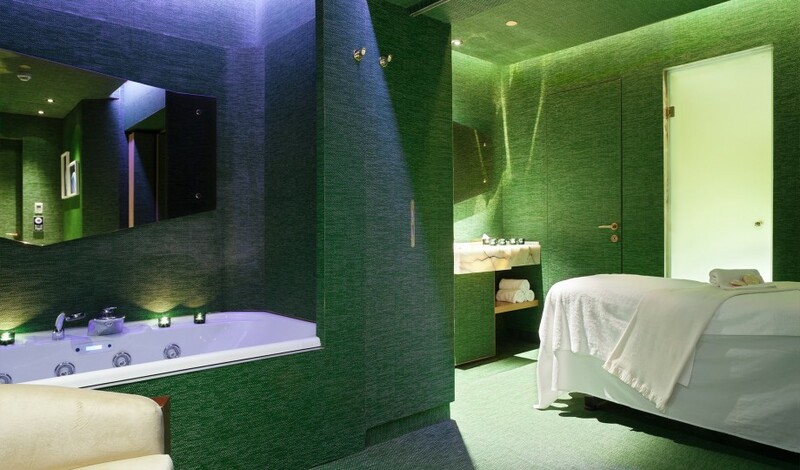 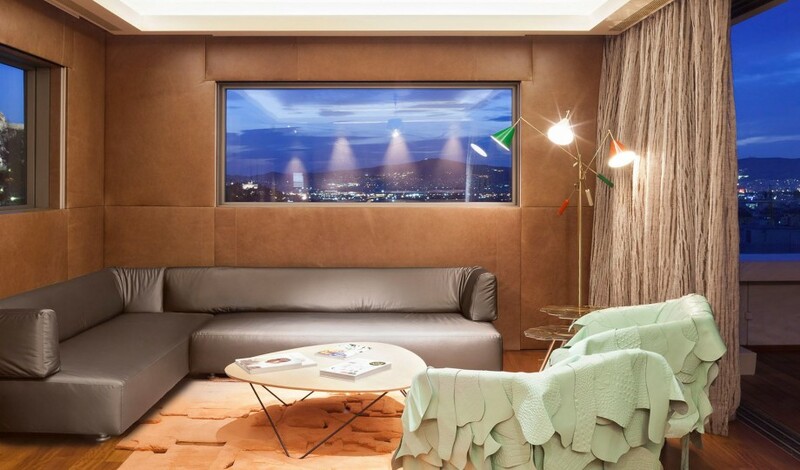 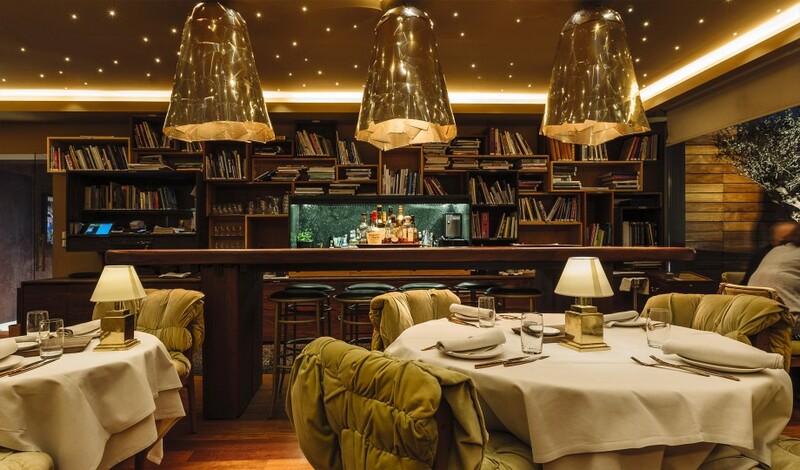 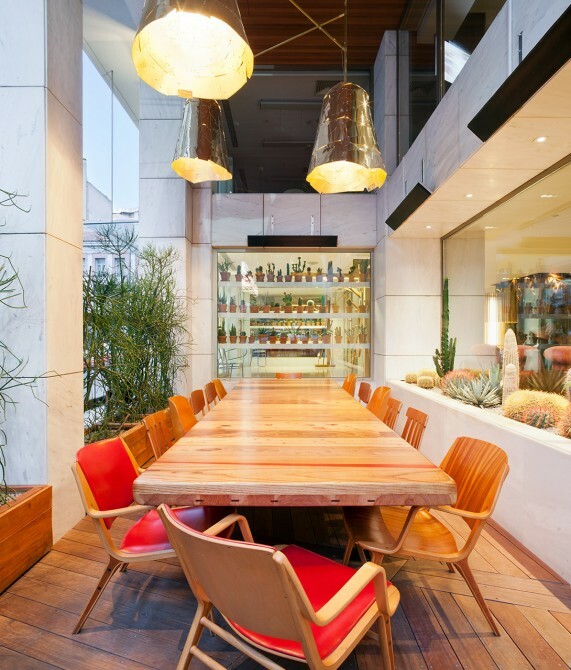 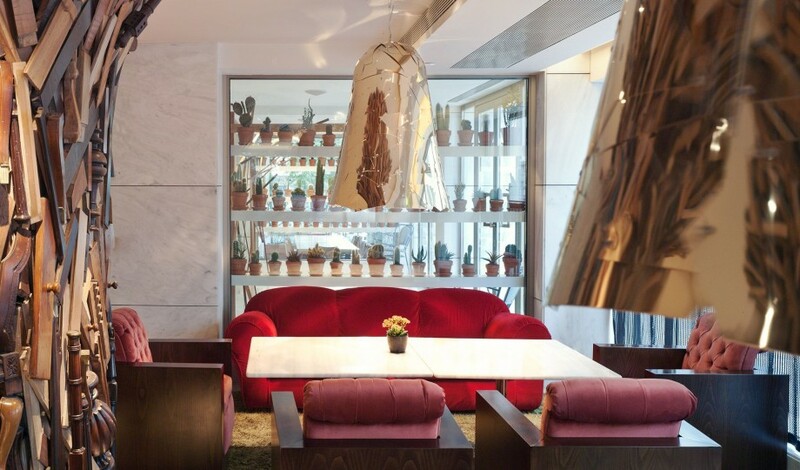 Working alongside innovative interior designers such as Brazil's Campana brothers, he has left his cool-as-ice hallmark on a trio of boutique hotels in Athens—Periscope Hotel, Semiramis, and New Hotel. 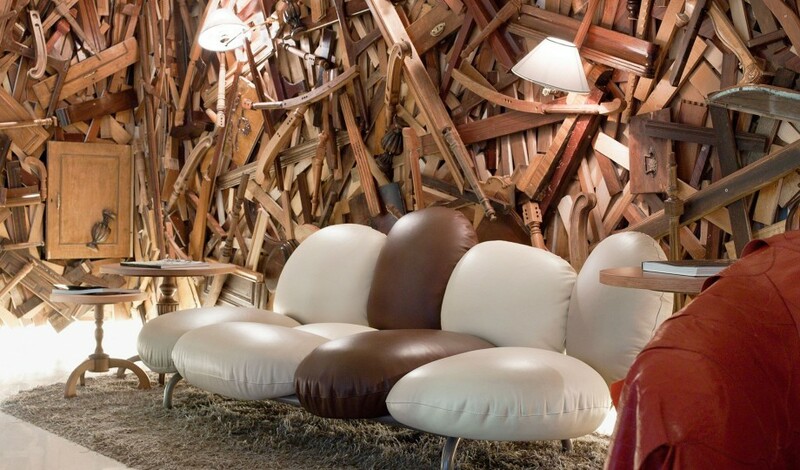 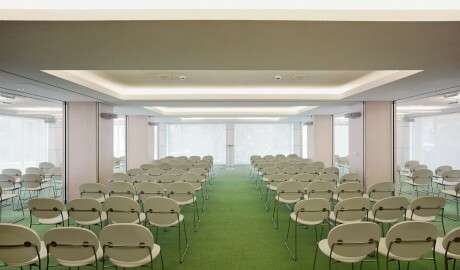 As a member of the Board of Trustees at the New Museum of Contemporary Art in New York, a member of the International Directors Council of the Solomon R. Guggenheim Foundation, and cofounder of DESTE Foundation for Contemporary Arts, Dakis Joannou is surrounded by the subjects that inspire him: art, design, and architecture. The Syntagma area—revolving around its eponym, Syntagma Square—is Athen’s commercial center and has been the heart of Greece’s politics for centuries.